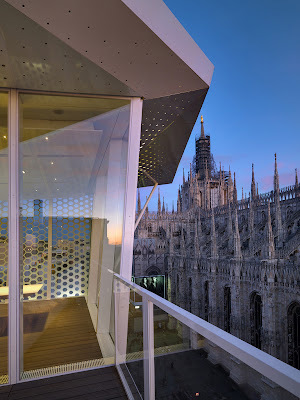 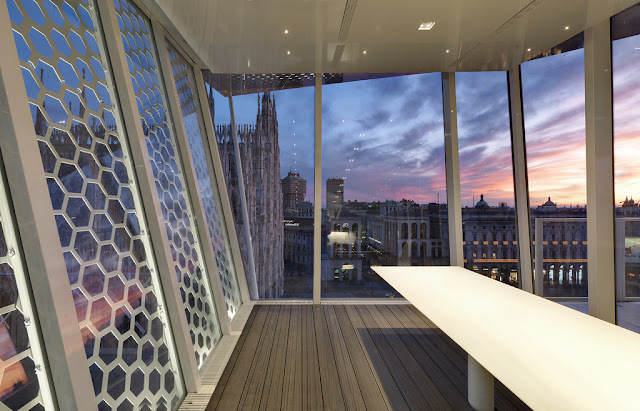 A pop-up restaurant up in the sky, The Cube: Dining With A View, is a traveling restaurant, mobilizing its way through out European cities to serve up a gastronomical experience you will never forget. The Cube has recently graced Milan, Italy with its presence. 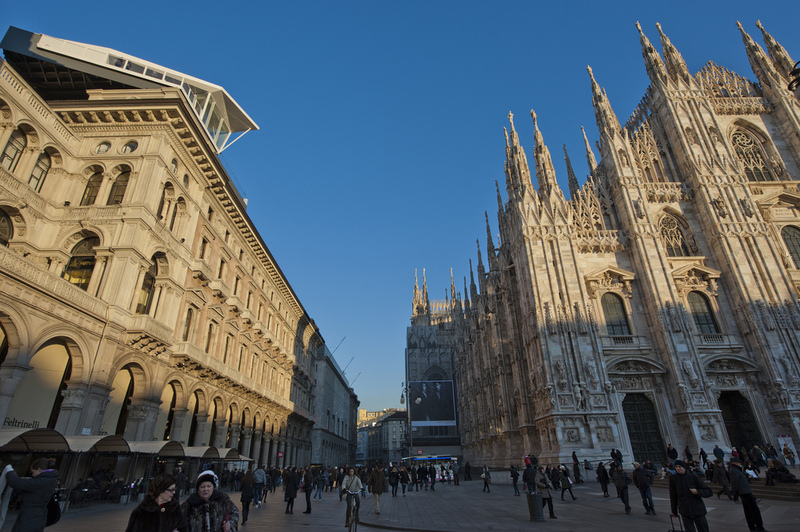 The view is situated right across the tavola, Il Duomo, which is adjacent to the infamous square, Piazza del Duomo. Sponsored by Electrolux (the Swedish appliance maker), the concept was introduced by a Belgian event agency called Absolute Blue and the pavilion was designed by the Milan based Italian firm, Park Associati. 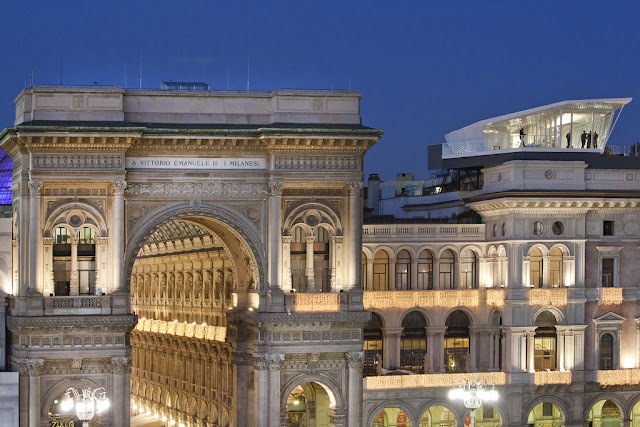 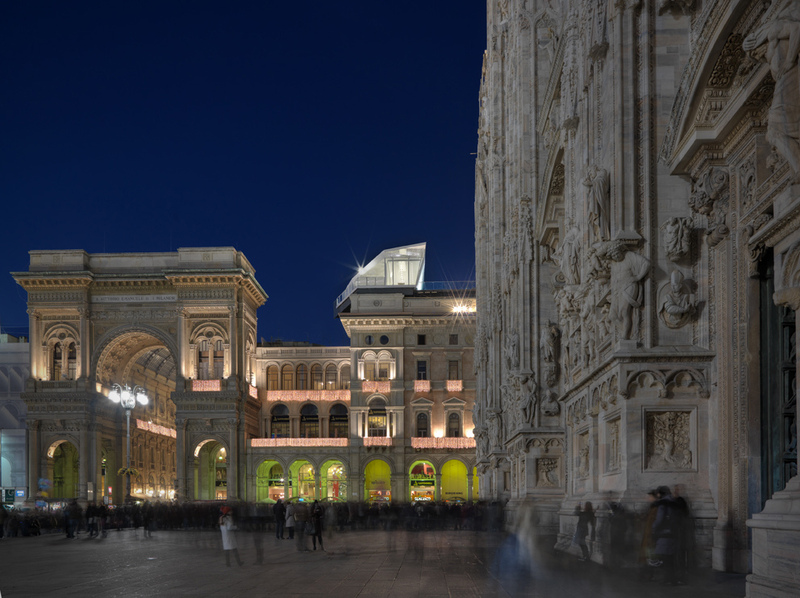 Talk about exclusive—the tavola only seats 18—so if you're in Milan and you want to experience the meal of a lifetime, while having the Gothic grandeur of Il Duomo Milano across from your table, you better make your reservations now. 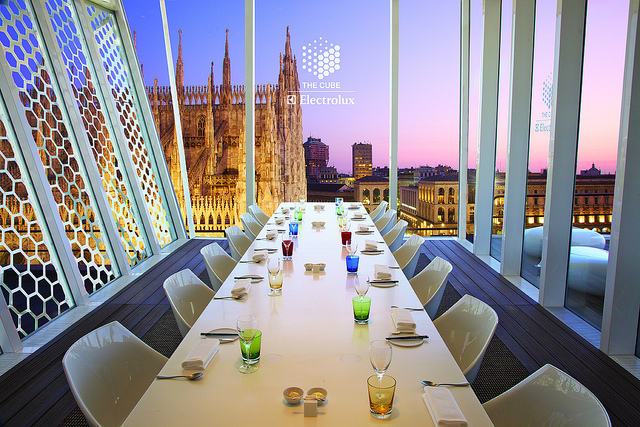 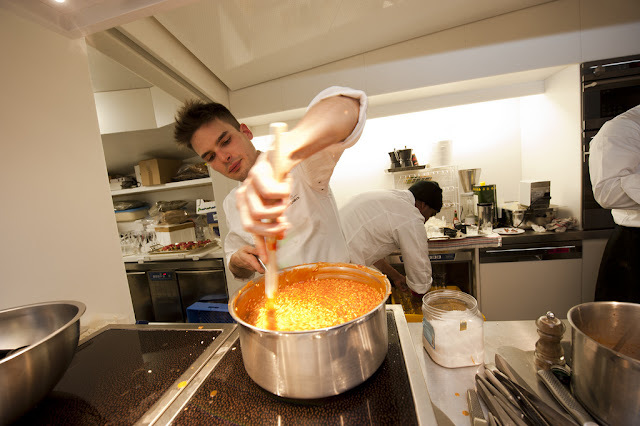 The menu aims to impress excite, and leave a palatable imprint: with an army of Michelin stars; five star chefs will occupy The Cube—taking turns to create your gastronomy experience until April 26, 2012. 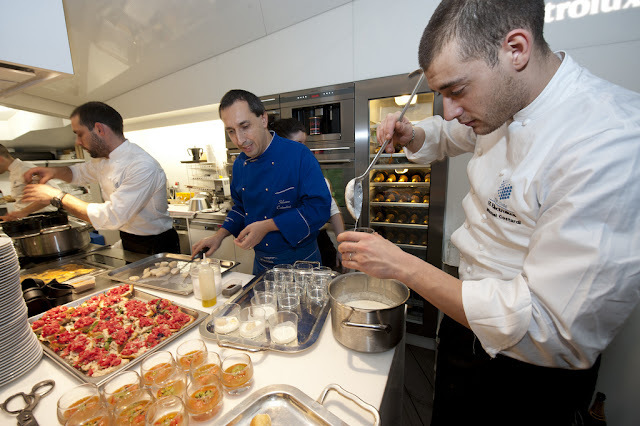 The list of culinary presenters are, brothers Chef Marco & Vittorio Colleoni with a family owned restaurant called Ristorante S. Martino, then there's Chef Andrea Sarri of Agrodolce, and Chefs Christian and Manuel Costardi, also brothers, are from Ristorante Cinzia. 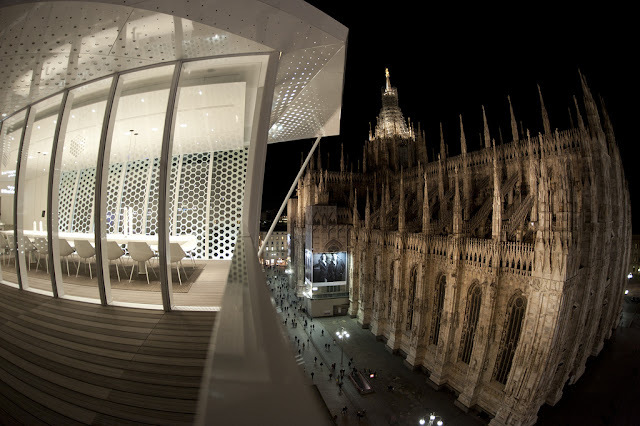 Previously, The Cube: Dining With A View was stationed where it was incepted, in Belgium (check out the video featured right to see the installation and the grandeur or its placement). 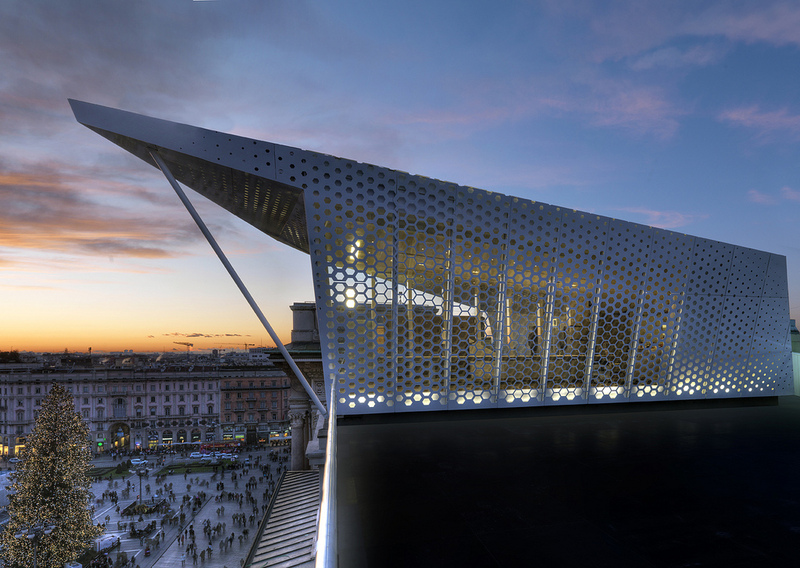 It launched in Brussels atop Parc du Cinquantenaire, near the headquarters of the European Community. 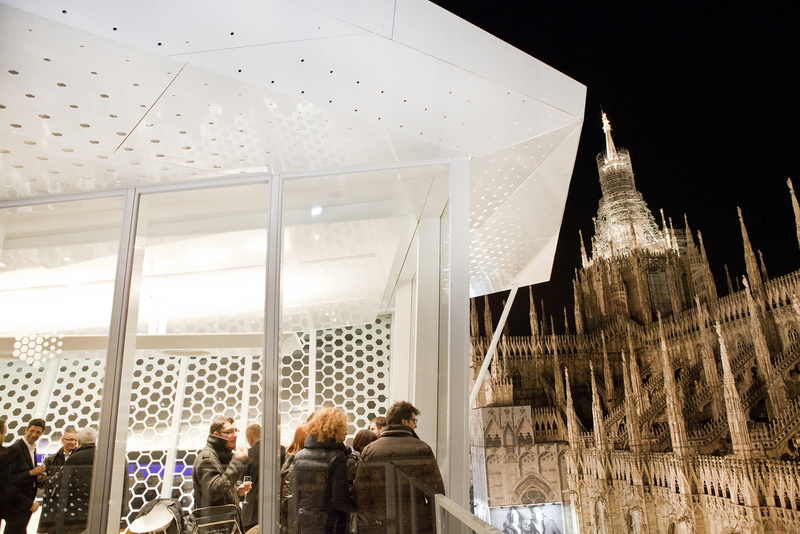 Next stop on the pop-up restaurant's agenda will be Stockholm—which will have the pleasure of coveting The Cube probably for the entire summer—followed by London, Switzerland and then finally Russia. Have a watch at the videos (featured above) to learn about the architects, the concept, the spectacular inaugural launch in Brussels's Parc du Cinquantenaire, as well as some breathtaking snap shots via Park Associati and Electrolux Appliances (featured below).